High-net-worth private foundation donors dont necessarily think of their financial advisor as a philanthropic source, reports Foundation Source. High-net-worth private foundation donors don’t necessarily think of their financial advisor as a philanthropic source, according to a new survey released Friday by Foundation Source. The 1,200-member organization received 167 responses to an October poll of its private foundation clients about how they engage with their financial advisors. Or don’t. The majority of respondents had foundations with less than $50 million in assets. Foundation Source’s CEO, Robert Chartener, said in a statement that the survey was prompted by frequent questions from professional wealth advisors whether they could be doing more to support their philanthropic clients. “This survey asked some compelling questions that could inform their services,” Chartener said. Fifty-four percent of respondents said they had never asked their financial advisors for advice on charitable giving. Why? Sixty-five percent said they didn’t need it; 18% said it had not occurred to them; 8% lacked confidence in their advisor’s expertise; and another 8% thought the advisor was better at dispensing technical advice. But if they do need advice, 35% foundation professionals surveyed said they preferred to ask a philanthropic peer. For those who might seek advice from a professional, the choice of 16% would be a philanthropic consultant, of 12% a financial advisor, of 5% an accountant and of 4% an attorney. How can advisors become more engaged in their clients’ charitable giving activities? For a start, get better informed about philanthropic issues. The survey identified several ways in which advisors can add value for their philanthropic clients. It found that respondents’ most desired assistance focused on education and training: 51% said they wanted to receive investment management training; 32% wanted their advisors to suggest philanthropic conferences and educational opportunities and 21% wanted their advisor to recommend books and resources on philanthropy. Some respondents said they would appreciate their financial advisor’s taking the lead around next-generation development, including mentoring younger family members and launching a junior board. Others said they would like to see their advisors coordinating board/family meetings, organizing site visits and facilitating community service projects or philanthropic activities. “Although donors have traditionally not reached out to their financial advisors about their giving, there clearly is an opportunity for advisors to step in and proactively deliver more value in this area,” Page Snow, chief philanthropic and marketing officer at Foundation Source, said in the statement. 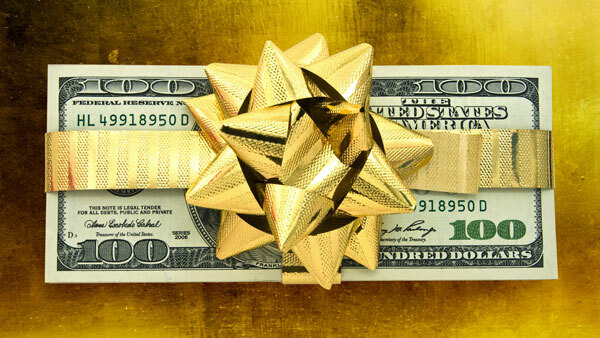 — Check out Top 15 Charities for 2014 Fundraising on ThinkAdvisor.